Located in southern England around 30 miles north of London, Dunstable is a market town in the county of Bedfordshire. With a population of approximately 35,000, there’s a wide range of properties in the area including moderately priced flats and apartments, and spacious family detached homes. At My Home Move Conveyancing we’ve been developing our knowledge and expertise of the local markets like Dunstable since 2001, allowing us to offer our clients in the area a specialist, fixed fee conveyancing service. You’ll require the services of property lawyers if you want to buy or sell property in Dunstable, in order to complete the legal work on your behalf. 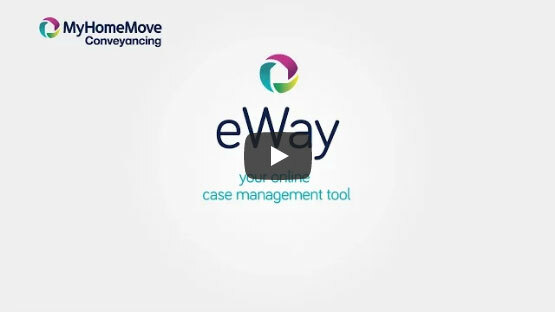 Select My Home Move Conveyancing to be your Dunstable conveyancers and take advantage of our award winning customer service, innovative use of technology and knowledge of the local market. We offer a fixed fee conveyancing service with no hidden extra costs, so you’ll know exactly what you’re going to pay right from the start. If you don’t end up completing for some reason, you won’t have to pay us a thing in legal fees. Choose us for a market-leading, professional and passionate service. We assign a dedicated conveyancer to each of our clients, providing you with access to their expertise and a consistent point of contact. You’ll get clear, regular updates on the progress of your case, as well as online access to your account. At My Home Move Conveyancing we have more annual completions than any other conveyancer, and supply our conveyancing services in Dunstable to customers looking to be both in the centre of town or in neighbourhoods such as Beecroft, Priory, Downside and Stipers Hill. The overall average sale price in Dunstable over the last 12 months was £231,573. Most sales involved flats, which fetched an average of £147,316. Semi detached properties went for £282,294, while terraces sold for £235,707. It’s thought that Dunstable’s local area has been inhabited since prehistoric times, while there’s an Iron Age hill fort in the parish of Houghton Regis. The Romans and Saxons inhabited the area, which grew in popularity during the 17th century as it was only a day or two’s ride from London. The modern town has a number of parks and open spaces, as well as a theatre, leisure centre and golf club, while the Dunstable Downs are popular for hang gliding, paragliding and kite flying. Dunstable has a strong location in the south of England, not far from capital London. The M1 motorway passes to the east of town linking it not only to London but also the north of the country. Dunstable doesn’t have its own railway station, but there are services to the capital that take less than 50 minutes from nearby Leagrave station, which is three miles away, and Luton, which is five miles away. London Luton Airport meanwhile is less than nine miles from Dunstable, and there are buses that take less than half an hour. The town operates a three tier education system, meaning children in Dunstable go to a first school, followed by a middle and upper school. Eaton Bray Academy, Lark Rise Academy and Parkfields Middle School are among the options for younger children, while choices at secondary level include All Saints’ Academy and Queensbury Academy. The Chiltern school and Weatherfield Academy provide special needs education facilities in the town, while Central Bedfordshire College is a further education establishment. All properties in Dunstable will fall within one of the following council tax bands.